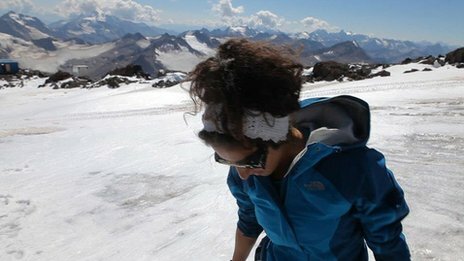 A Saudi woman has made history by reaching the summit of the world's highest mountain. Coming from Saudi Arabia - a conservative Muslim country where women's rights are very restricted - she had to break a lot of barriers to achieve her goal, her climb team said. A biography on the expedition website said convincing Ms Moharrak's family to agree to her climb "was as great a challenge as the mountain itself", though they fully support her now. "I really don't care about being the first," she is quoted as saying. "So long as it inspires someone else to be second."